Following on from the success of public engagement workshop ‘Learning from the Past, Looking to the Future’ (March 2012), the symposium ‘Dialogues with Scotland’s History of Domestic Abuse’ was held on Friday 20 June 2014. This event brought together c.80 delegates representing a wide range of government, judicial and legislative bodies, research-led institutions, campaigning groups and practice-led initiatives; those present therefore included practitioners and policy workers, activists as well as early career and established academics. Delegates shared knowledge and best practice with regard to various key components of work currently being taken forward in relation to domestic abuse in Scotland. Discussion of the prevalence, attitudes surrounding, and experience of domestic abuse over the nineteenth, twentieth and early twenty-first centuries prompted further questions and debate around the ways in which recent research findings can serve to constructively inform future provision, practice and policy. Please note that, below, you can listen to podcasts of all papers presented at this event. Your browser does not support the audio element. You may download an MP3 version of this session here. Ms White serves on a range of Cross-Party-Groups in the Scottish Parliament, reflecting her keen interest in social justice matters; these include the Scottish Parliament Cross-Party-Group on Men’s Violence Against Women and Children. 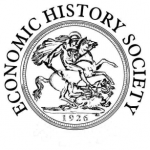 The organisation of this event was made possible through the support of the Centre for Gender History, the Royal Historical Society and the Economic History Society.